Last week AG Tanchev delivered his Opinion in case C-208/18 Jana Petruchová v FIBO Group Holdings Limited involving a very interesting question on the notion of consumer in complex financial transactions. On 2 October 2014 the claimant, a resident of Ostrava, Czech Republic entered into a contract (a 'Framework Agreement') with the defendant, FIBO Group Holdings Ltd, a brokerage company established in Limassol, Cyprus. The purpose of the Framework Agreement was to enable the claimant to make transactions on the FOREX market by placing orders for the purchase and sale of the base currency which would be executed by the defendant. To that end, the Framework Agreement enabled the conclusion of individual contracts for difference (CfD's) between the claimant and the defendant. With the CfD’s the claimant bought and sold the base currency (in the present case USD) and made profit on the difference in the exchange rates applicable to the sale and purchase of the base currency in relation to the quote currency (here JPY). On 3 October 2014 the claimant entered into a CfD with the defendant. At 15:30:00 she placed an order to buy a certain amount of USD. The trading system promptly informed her that the up-to-date exchange rate that she accepted and confirmed the order to buy. However, long queues of orders built up in FIBO’s trading system as a result of a jump in the rate of the USD against quote currencies. Consequently, the required amount of USD was purchased later, at 15:30:16, at a slightly less favorable exchange rate and for a higher price. At 15:48:11 on the same day, the claimant instructed the defendant to sell the purchased amount of USD making a gross profit in the equivalent of USD 4 081.33. However, had the claimant’s order to purchase the base currency been executed in a timely manner, not with a delay of 16 seconds, she would have made a profit of USD 13 009.23 that is three times higher of what she actually achieved. On 12 October 2015 the claimant sued the defendant for unjust enrichment, lodging the claim before the Regional Court, Ostrava; contrary to the Framework Agreement that provided for the jurisdiction of Cypriot courts. The court enforced the jurisdiction clause, and rejected the applicability of Article 17(1) of Brussels Regulation that would enable the claimant as a consumer to bring her claim in a Czech court. This was because, according to the court, the claimant did not enter into the CfD at issue in order to meet her private needs, she had the knowledge and the expertise required to conclude CfD's, and she had been warned that CfD's were not an appropriate instrument for ‘retail clients’ within the meaning of Directive 2004/39. In any event, the view of the court was that Article 17(1) of the Brussels Regulation had to be interpreted in the same manner as Article 6(1) of he Rome I Regulation, and that consequently financial instruments were excluded from the scope of Brussels Regulation. The appellate court confirmed the lower court's decision, but the Czech Supreme Court disagreed, and turned to the CJEU. The Supreme Court asked the CJEU whether a natural person who engages in trade on the FOREX market must be regarded as a consumer within the meaning of Article 17(1) of the Brussels Regulation or whether, by reason of the knowledge and expertise required to engage in that trade, the complex and atypical nature of the contract at issue, and of the risks involved, that person cannot be considered a consumer. In delivering his option, AG Tanchev first of all clarified that although Art. 17(1) the Brussels Regulation provides a special jurisdiction for consumer disputes, it does not define the notion of a consumer. The provision only provides that a person, the ‘consumer’, must conclude a contract ‘for a purpose which can be regarded as being outside his/her trade or profession’ (para. 35). Following the CJEU's settled case law, AG Tanchev explained that Article 17(1) of Brussels Regulation should be interpreted independently by reference principally to the general scheme and objectives of that Regulation, rather than by reference to other, related EU legislation (para. 36, see also parts E and D of the Opinion). Finally, AG Tanchev highlighted that the notion of a consumer must be strictly construed, taking into account the nature and objective of the kind of the contract rather than the subjective position of the consumer in the contract under scrutiny (para. 37). issue, the claimant was a university student and although she was also working part time, the CfD was not concluded within her (part-time) profession. This was not disputed between the parties. However, before he would have made his final recommendation, AG Tanchev carefully scrutinized the arguments raised by the Czech courts and the elements of the question referred to for preliminary ruling. AG Tanchev discarded the relevance of knowledge and expertise for defining the notion of a consumer within the meaning of Art. 17(1) of Brussels Regulation. First of all, accepting that CfD transactions require special knowledge will make these a commercial transaction, would effectively exclude these types of contracts from the scope of the Regulation, and this would be contrary to the intention of the Regulation that does not provide for the exemption of any financial contracts/instruments. Secondly, it is also irrelevant that the claimant had some previous experience with CfD's as the Regulation does not require evidence of no prior knowledge and experience in the field. It only requires that a contract is concluded outside the person's trade or profession (paras 43-45). Finally, taking into account the claimant's level of knowledge and information would give priority to the claimant's subjective situation as opposed to the nature and objective of the contract (para 46). This approach would be contrary to the CJEU's established case-law in interpreting the notion of a consumer (referring here primarily to Schrems and Costea). AG Tanchev discredited the argument that a person should not be considered a consumer if the profit made on the FOREX market accounts for the greatest part of the person's income. According to the AG, it would be contrary to equal treatment if persons achieving the same profit would enjoy different classification (and hence protection) depending on amount of profit relative to their income (para. 52). AG Tanchev also discredited the argument that the claimant should not be considered a consumer because she actively placed orders on the Forex market. Art. 17(1) of Brussels Regulation does not require that the consumer acts in any special way, it neither requires the consumer to stay passive nor to be active (para. 53). consumer be denied on account of the risks taken, CfDs would systematically fall outside the scope of Article 17(1) of the Brussels Regulation, and this would be contrary to the express provisions of the Regulation that only exempts certain type of transport contracts from its scope (para. 56). On the contrary, the high risks involved in the transaction justify the protection of Brussels Regulation to persons dealing with CfDs (para 57). Finally, the AG considered the relevance of the number and frequency of the transactions executed. Although recognizing that a person carrying out financial transactions regularly over an extended period of time and for significant amounts of money would classify those transactions as a (secondary) profession (para. 58), referring to interpretations of national courts AG Tanchev finally rejected the relevance of this criteria. Reliance on individual circumstances would lead to uncertain outcomes, and would also be inconsistent with the CJEU's approach to look at nature and objective of the contract rather than the subjective situation of a person in question (paras. 59-63). This is an interesting case that once again raised the problem of delimiting consumers from non-consumers, now in the context of Brussels Regulation. Taking a 'black letter' approach to interpreting Art. 17(1) of Brussels Regulation, AG Tanchev provided a protective view to the notion of the consumer. However, given his approach of looking at the Regulation isolated from other EU legal instruments, the entire system of protection that comes with the notion of a consumer in EU law might not have been triggered. In fact, taking this approach, could we end up in classifying an individual under one act as a consumer and under another EU legislation as a business, and would this be a problem? Secondly, do you agree with AG Tanchev's approach in not limiting the scope of the notion of a consumer? Should wealthy consumers likely to engage financial advisers and/or knowledgeable consumers who are able to make prudent decisions deserve the special EU consumer protection regime? More generally, we could also ask whether certain categories of consumers such as high-net-worth individuals need this protection, whether the many protective rules of EU consumer law, primary those on information provision slow down their business, especially their financial dealings? What do you think? Case C-681/17 slewo was not the only dispute concerning mattresses on which the Court of Justice ruled in recent time (see Sealed without a reason...). Earlier this week it also passed a judgment in case C-266/18 Aqua Med - this time not on the right of withdrawal, but on fairness control of a choice-of-court clause under Directive 93/13/EEC on unfair terms (UCTD). The case concerned a dispute between a Polish trader - Aqua Med - and a consumer to whom the trader sold a mattress (for some partially related mattress trivia see * below). The contract included a pre-formulated clause, according to which '[t]he court which has jurisdiction to hear disputes between the parties shall be the court which has jurisdiction under the relevant provisions'. After the consumer failed to pay the price for the mattress, Aqua Med sued her before the court of its registered office. This choice of court appeared to find support in the national rules of civil procedure, according to which actions relating to contractual performance can be brought either before the court within whose area of jurisdiction the defendant is domiciled, or before the court for the place where contract is to be performed (e.g. trader's registered office). The national court run into doubts as to whether such state of affairs was in line with the requirement of effective consumer protection under UCTD. Specifically, the question arose whether national court could review the choice-of-court clause of its own motion, set it aside and apply a rule of civil procedure, which was more favourable to the consumer. The judgment passed earlier this week consisted of two parts, each focused on a different provision. In the first part Article 1(2) was examined, pursuant to which 'contractual terms which reflect mandatory statutory or regulatory provisions ... shall not be subject to the provisions of this Directive'. The Court acknowledged the existence of this exclusion as well as rationale behind it (a presumption that the national legislature has struck a balance between respective rights and obligations). It recalled, however, that - as an exception from a high level of consumer protection - such an exception had to be interpreted strictly. Against this backdrop the Court concluded that the contractual term in the case at hand was worded so generally that it did not, strictly speaking, reflect a specific national provision. The clause rather referred to a set of rules on jurisdiction, from which the seller or supplier could choose whichever rule he found most favourable. Consequently, the standard term in question fell within the scope of the UCTD. Having established that, the Court moved on to the second part of the judgement, one devoted to the interpretation of national procedural rules in the light of Article 7 UCTD. To do so it first needed to reformulate the question asked by the national court, as the original submission made no references to Article 7. Thus, instead of analysing the unfairness of the term at hand (a tasks the Court has long avoided), the Court rather chose to analyse the underlying procedural rules. This part of judgment consequently built upon the Court's earlier case law (see e.g. our previous posts Effectiveness of the UCTD revisited..., The ‘proceduralization’ of Directive 93/13...). It began by stressing that, in principle, procedures for assessing unfairness of a term are covered by the Member States' procedural autonomy. Directive 93/13/EEC does not include any provisions about jurisdiction over relevant claims and Regulation 1215/2012 does not apply to cases without a cross-border element. National procedural rules should, nevertheless, comply with the following two principles: equivalence (should not be less favourable than those governing similar situations subject to domestic law) and effectiveness (should provide for a right to an effective remedy, as required by Article 47 of the Charter of Fundamental Rights). Since compliance with the first principle did not raise any concerns, the judgment focused on the latter. According to the Court, while a national rule which, as an alternative, allows territorial jurisdiction to be established according to the place of contractual performance does not, in itself, excessively restrict consumer’s right to an effective remedy, the exercise of consumer rights may be subject to such restrictions if procedure as a whole, its conduct and special features are taken into consideration. Specifically, the Court went on, "procedural arrangements which give rise to overly high costs for the consumer could have the effect of deterring him from properly defending his rights before the court before which proceedings have been brought by the seller or supplier. That would be the case where proceedings brought before a court which is very far away from the consumer’s place of residence give rise to overly high travel costs for the latter, such as to deter him from entering an appearance in the proceedings brought against him" (para. 54). The relevant assessment is, of course, for the national court to make. The judgment in Aqua Med further establishes Court's case law regarding the effectiveness of national procedural rules in light of Article 7 UCTD. The Court reiterates the criteria which it summerised in Profi Credit (with references to previous judgments) and provides some context-specific guidelines. While Profi Credit was strictly concerned with time limits, Aqua Med related to costs and distance. The judgment mentions both of these elements, but particularly underlines the former. If costs are the main concern, then procedural rules which allow consumers to be reimbursed for their travel costs could potentially mitigate against it. However, the need to travel to a court which is far away from the consumer’s place of residence involves not only monetary costs, but also takes consumers' (working) time. If national courts are to critically assess the impact of procedural rules on consumers' access to justice, then this element too should be considered. * Aqua Med was not only the claimant in the present case, but also addressee of an earlier decision by the Polish consumer protection authority (see press release). Just over a year ago, the President of the Office of Competition and Consumer Protection (UOKiK) found that Aqua Med provided consumers with deceptive product information, among others by claiming that the thermal mat, which it sold on an off-premise basis, was used by... John Paul II. According to the consumer protection authority "this could not be true, as the production of this mat began after the Pope's death". For the violation of national rules implementing the Unfair Commercial Practices Directive the company had to pay a fine of 20 548 PLN (approx. 4 800 EUR). It is unclear whether Ten Commandments can also be binding on the legal persons. Yesterday the collapse of another payday lender in the UK hit the headlines of BBC News. WageDay Advance, a middle-sized payday lender went into administration earlier this year due to a surge of claims for compensation for mis-sold loans. This follows the collapse of Wonga, the largest payday lender in the UK that went into administration last year for the same reason. So what exactly is going on? Payday loans are unsecured loans for a small amount of cash (usually between £100-1000) for a short period of time. Traditionally they were repaid before the next payday (hence their name) although nowadays they may last up to 1 year. This type of financing is very popular in the UK, and has caused a lot of detriment to consumers in the past. Advertisements targeted children and vulnerable adults, the loans were given to everyone without proper creditworthiness assessments, the application process was simple and easy, the basic price was extremely high (the annual percentage rate of charge of a Wonga loan could be as much as 5853%), and multiple extensions involving additional fees and charges were routine. Consumers who easily found themselves trapped in debt, were subject to unfair treatment and aggressive debt collection often being left without essential funds to live on. Needless to say payday loans gained considerable public attention, and hence when the Financial Conduct Authority (FCA) took over the regulation and supervision of consumer credit from the former Office of Fair Trading, the regulation of the payday loans market came top of its list of priorities. The Financial Services and Markets Act 2000 as amended in 2012 equipped the FCA with very significant powers, including to regulate the features of a financial products or to ban them completely (product regulation power) and a power to order consumer redress (so called regulatory redress power). Using these powers the FCA decided to keep payday loans on the market subjecting them to detailed rules and to robust enforcement. The initial forecast was that the new regime that made payday loans a much less attractive business than would drive out most of the firms. This has not happened (for more on the new regime for payday loans in the UK see my paper here), with a fair number of firms remaining in the market and operating under the new regime. While the new rules stopping firms from earning excessive profits did not drive these firms out from the market, their life was ended by the new approach to enforcement. CFO Lending could not bear the costs, and collapsed into administration in 2017. Wonga followed suit in 2018. These companies collapsed because they could not bear the costs of the redress scheme. In addition to the redress schemes, another trend affected the well-being of these companies. Following the FCA's approach to enforcement as 'credible deterrence' providing for exemplary and spectacular punishments with maximum publicity, the media and money advise charities took up the problem (see an example here) advising consumers how to claim compensation for unfair, primarily, irresponsible lending practices. In addition, consumers protecting their own interests, claims management companies took interest in reclaiming mis-sold payday loans, to an extent, that claiming this type of compensation became one of the most common complaints directed to the Financial Ombudsman Service. While it is unclear what exactly happened with Curo Transatlantic Limited trading as WageDay Advance it seems that payday firms that stayed on the UK market are now paying the price for their past behavior, either within a redress scheme agreed with the FCA and/or by a surge of claims from claims management companies and consumers. How does the failure of a company affects its customers? First of all, consumers who have loans need to continue with the repayments. However, consumers who were due compensation might have suffered harm. For instance, CFO Lending's capital was not enough to pay compensation to all consumers, and WageDay Advance's consumers are still unsure how much compensation they are going to get as it depends on the amount of revenues earned from loans being repaid. The prospect of these consumers is not very good. They will become unsecured creditors at the bottom of the scale, and are likely not to be repaid. The case-study of the UK payday loans firms show the importance and the power of effective enforcement tools, but at the same time, it also shows the danger of having too robust enforcement that may ultimately harm consumers. It raises two important questions. First, should we care about the well-being of companies, and should the redress schemed be tailored to what is sustainable for the firm in question? 'Sustainable redress' would ultimately also serve the interests of consumers by boosting competition on the market, and arguably providing better services and products. Secondly, should the FCA and other regulators having similar schemes rethink their approach to enforcement and design the redress schemes to protect the collective interests of all affected consumers? Bearing in mind the collective interest of consumers would lead to a reduction of individual sums of compensation, but every affected customer would get their fair share. And finally, one might also think about combining the two approaches. Reducing the amounts of compensation to individual consumers to an extent to compensate every consumer and to provide for sustainable redress. What do you think? Today the Court issued its judgment in the case Germanwings (C-501/17), on whether a delay of an airplane, which was caused due to a loose screw lying on a runway, which damaged the plane's tyre, should be attributed to an extraordinary circumstance (which remains undefined in the Regulation itself) (see more on the facts of the case in our comment on the opinion: 'Nuts and bolts' of extraordinary circumstances...). 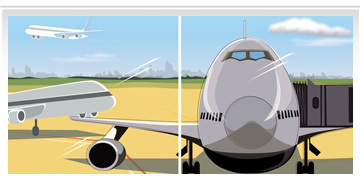 The Court's answer favours operating air carriers, as it attributes damage to airplanes, caused by foreign objects lying on an airport runway, to extraordinary circumstances, releasing them from an obligation to pay compensation to passengers pursuant Article 5(3) Regulation No 261/2004 (para. 26). Such an event is seen as not inherent in the normal exercise of air carrier's activity or as within their control. It is up to the air carriers to prove that the sole reason of the damage to the tyre was indeed the presence of a foreign object on the runway (para. 24). 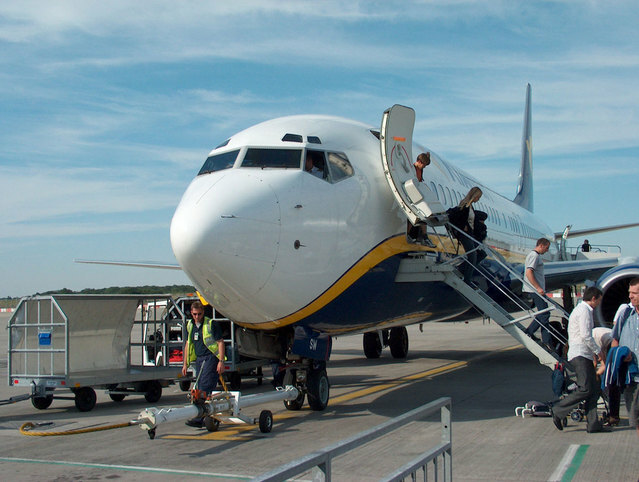 However, the Court draws attention to the second part of this provision, which requires air carriers to take all reasonable measures to avoid flight cancellation (or delay pursuant to previous case law of CJEU) (para. 31). Focus on this requirement leads the Court to imposing a compensation obligation on the air carriers, even if the flight was delayed due to an extraordinary circumstance, if the air carriers could not prove that they did their best (in terms of devoting resources, such as staff or equipment, and money) to repair the damage to the plane as soon as possible, in order to limit the delay. In this particular case, the Court seems to suggest that it might have been reasonable to expect from the air carrier to have a contract with air maintenance companies for changing its tyres under priority conditions, even if it could have led to additional expenses (para. 32). Two weeks ago we informed about the stage of the legislative process concerning the New Deal for Consumers, focusing on the proposal on better enforcement and modernisation of directives on unfair commercial practices (UCPD), unfair contract terms (UCTD), consumer rights (CRD) and price indication (PID). Earlier this week, the Council and the European Parliament reached a preliminary agreement on the proposal. As we explained in the earlier post, separate positions of the EP and the Council on the commented file did not fundamentally differ. Short-term agreement on the proposal, therefore, does not come as a huge surprise (particularly in this heated period before European elections). Both positions rejected the original proposal of the Commission to impose limitations on consumers' right of withdrawal set out in the CRD. Aside from that, Council members did not particularly like further harmonisation of procedural rules, proposed by the Commission. Since respective proposals had not been particularly far-reaching in the first place, it was enough to further water them down a little bit to reach a compromise at the Council level (the situation is more complex with the second New Deal proposal, to be discussed in detail during the upcoming conference in Amsterdam). The EP did not fundamentally oppose. On the enforcement side, besides restating that the level of penalties imposed on the trader should, where possible, consider penalties imposed for the same infringement in other Member States as well as clarifying the threshold of fines, which Member States should provide for in their legislation (at least 4% of the trader's annual turnover or 2 million EUR, if the information on turnover is not available), the agreed text essentially reflects the Council's position. More apparent deviations from it can be seen at the substantive level. Two particularly interesting points concern online reviews and personalised prices. At the initiative of the EP, new provisions have been added to the UCPD to address the problem of fake online reviews. Specifically, the catalogue of information which should be considered as material under Article 7 has been extended to cover information "whether and how the trader ensures that the published reviews originate from consumers who have purchased or used the product". Consequently, if a trader provides access to consumer reviews of products and omits this kind of information, his practice might be qualified as a misleading omission. 23b. Stating that reviews of a product are submitted by consumers who have actually used or purchased the product without taking reasonable and proportionate steps to check that they originate from such consumers. 23c. Submitting or commissioning another legal or natural person to submit false consumer reviews or endorsements, or misrepresenting consumer reviews or social endorsements, in order to promote products. All in all, the amendments on consumer reviews seem to be a step in the right direction. Article 7 essentially requires that information about potential origin of reviews is disclosed, while the black list lays down the consequences of disclosing it in a misleading way. Of course, one can wonder whether the black list is the right place for a provision whose substantive scope is not readily apparent. Thus, de lege ferenda, additional guidelines as to what "reasonable and appropriate steps" actually are would be advisable. For the sake of comprehensiveness, two further amendments to the black list contained in the new text should be mentioned briefly. Firstly, the compromise version features yet another new black-listed practice proposed by the EP, namely "reselling events tickets to consumers if the trader acquired them by using automated means to circumvent any imposed limit on the number of tickets that a person can buy or any other rules applicable to the purchase of tickets" (new point 23a). This seems to address a highly specific problem, which must have been brought to MEPs attention by respective stakeholder groups. Secondly, the amendment about paid results in search engine rankings, which had already been proposed by the Commission, has been adjusted slightly. According to the current version (new point 11a) "providing search results in response to a consumer’s online search query without clearly disclosing any paid advertisement or payment specifically for achieving higher ranking of products within the search results" shall be considered unfair in all circumstances. At first glance this might seem like a step back from the earlier wording, which referred to direct and indirect payments. Note, however, that a reference to both types of payment can still be found in the preamble. As regards the amendments to the CRD, a particularly interesting development concerns the scope of traders' information duties. In this respect, a new point has been added to the list of information to be communicated to consumers in contracts concluded at a distance (Article 6), namely information "that the price was personalised on the basis of automated decision making" (where applicable, of course). The origin of this amendment can be traced back to the IMCO report, yet its final scope does not fully reflect the original one. Firstly, the substantive scope of the duty has been narrowed down compared to EP's text. More specifically, the IMCO report referred to information "whether and how algorithms or automated decision making were used, to present offers or determine prices, including personalised pricing techniques". By contrast, the compromise text is limited to personalised pricing, and excludes other algorithmic techniques, such as dynamic pricing (recital 45). Furthermore, it only requires traders to disclose whether, and not how the price had been adjusted. Secondly, and more favourably to consumers, in the compromise text the new rule is framed as one of general information duties for distance contracts, and not just a specific rule for contracts concluded via online marketplaces, as originally proposed by the EP. As a result, under new rules, consumers should at least get an overview of the application of personalised pricing across the digital market. This, of course, under the assumption that competent authorities will find a way of enforcing these rules. The agreed text also includes another new provision about communication of prices, this time as regards price reductions. More specifically, under the newly introduced Article 6a of Price Indication Directive "any announcement of price reduction shall indicate the prior price applied by the trader for a determined period of time prior to the application of the price reduction". What is more, "prior price" is defined in the subsequent section as "the lowest price applied by the trader during a period of time which may not be shorter than one month prior to the application of the price reduction". Exceptions from this rule would only concern goods which are liable to deteriorate or expire rapidly and products which had been on the market for less than 30 days. How exactly this rule is to be interpreted, and especially how it would apply in the digital markets where prices can be changed dynamically, is a matter for a future reflection (on the application of the current rules, see e.g. our earlier post More transparency on hotel booking websites?). Last but not least, several remarks about the level of harmonisation under amended rules are in place. The readers may recall that the original file proposed to change the level of harmonisation of Consumer Rights Directive from full to minimum in case of contracts concluded as a result of unsolicited visits at consumer's home and during excursions organised by a trader. This supposedly was a response to the calls from the Member States which sought to provide consumers in those circumstances with a higher level of protection. Ultimately, however, a different course of action has been chosen. Rather that changing the level of harmonisation, a few additional regulatory choices have been introduced to the CRD. Specifically, Member States would be able to extend the withdrawal period for these types of contracts from 14 to 30 days. Additionally, Member States would also be able to derogate from some of the exceptions from the right of withdrawal for these types of contracts. This, however, does not mean that the CRD in its entirely will now be based on the principle of full harmonisation. As readers may recall, already now Article 5(4) allows Member States to adopt or maintain additional pre-contractual information requirements for contracts other than distance or off-premises contracts. And finally, not to be missed, the newly introduced Article 6a(2) also introduces a minimum level of harmonisation with respect to disclosure duties for online marketplaces. On Thursday AG Saugmandsgaard Øe gave his opinion in the case Aegean Airlines (C-163/18), which examines the relationship between the provisions of Regulation No 261/2004 and Package Travel Directive (old one 90/314/EEC). Both these acts grant certain rights to passengers of cancelled flights, when these cancelled flights form a part of a package travel contract. Article 8(2) Regulation 261/2004 states that also passengers whose flights form part of a package travel may claim reimbursement of the full cost of the ticket on the basis of that Regulation, unless their right to reimbursement arises under the PTD. The national court asked for the interpretation of this provision, inquiring whether it limits the rights of passengers to make a claim against the operating air carrier for the reimbursement of the ticket pursuant to the Regulation, when the national law implementing the PTD gave them the right to claim the whole cost of the package travel, including the price of the ticket, from the package travel organiser (para 31). The answer to this question is especially important when the organiser is in liquidation, i.e. is not able to meet the financial obligations of the reimbursement and has not guaranteed such reimbursements, e.g. by not taking out an insurance (para 32). 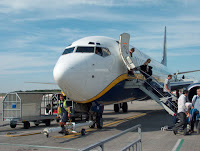 The Commission was of the opinion in this case that as long as the passenger does not get compensated in practice by the organiser, the operating air carrier should be held liable for the reimbursement of the ticket (para 33). The airline (obviously) together with the Czech and German governments disagreed (para 34). AG Saugmandsgaard Øe supports the second opinion, following the literal interpretation of the provision of Article 8(2) Regulation 261/2004 (para 36-39). Since Article 8(2) only refers to the right to reimbursement arising pursuant the PTD, it does not require that the passenger can actually acquire the reimbursement in practice. As previously the Court had not always interpreted Regulation 261/2004 on the basis of the wording of its provisions (cases of Sturgeon or Nelson), we will need to see whether the opinion of AG Saugmandsgaard Øe will be followed. Just in case, the AG supports his reasoning also by referring to: the legislative history of Regulation 261/2004, which shows that there were doubts about extending the scope of protection of the Regulation to package travellers (para. 43-45); and to the system of the Regulation, which set up the exception of Article 8(2) narrowly, only applying it to the right to reimbursement of the ticket (para 50), and which seemed to give priority to the protection of the PTD, also through Article 3(6) Regulation 261/2004 (para 52); as well as to the system of the PTD, which aimed to guarantee the reimbursement by organisers by obliging them to set up insolvency protection (para 55). 59). Passengers would be protected too much, according to him, if they could claim reimbursement both on the basis of Regulation 261/2004 and the PTD (para 64). Well, yes, of course passengers should not be allowed to claim the price of the ticket back twice (para 65), however, it seems in practice this opinion will not allow them to claim it even once. This clearly would not support the main objective of the Regulation. A better solution would then be to interpret Article 8(2) Regulation 261/2004 as only allowing claims on the basis of the Regulation, if for the passenger it is impossible, not only legally but also practically, to make a claim pursuant to the PTD. After all, the air carrier could also be protected by having redress on the package travel organiser. And the package travel organiser should be able to indicate the ticket price as a component of the package price (contrary to the argument made in para 66). Yesterday, AG Pitruzzella published his opinion in Romano v DSL, a case concerning a somewhat less well-known instalment in EU consumer protection: Directive 2002/65/EC. The concrete issues discussed in the case, however, are quite similar to typical consumer cases: they have to do with withdrawal rights and information provision. In 2007, the Romanos entered a distance consumer credit contract. They signed a form acknowledging that demanding immediate performance of the credit meant that they were forsaking their right of withdrawal. For more or less ten years, they went on paying back the credit, until they decided to sue the bank arguing that the contract should be terminated: they had not been provided appropriate information on their withdrawal rights, and hence should not be held to the contract. Additionally, as provided by German law, the creditor should pay them compensation for having all the while retained use of their money. The right of withdrawal in distance consumer credit contracts, as featured in the Directive, appeared to have been implemented in the various sub-provisions going under article 312 of the German Civil Code, or BGB. These excluded withdrawal from already performed financial contracts, when performance had taken place at the express requests of the consumers before their withdrawal period expired. However, it appears to be the case that the German Supreme Court had affirmed that the consumer’s right of withdrawal in distance financial services was still regulated by article 355 (and 495) of the BGB, where the general provisions on withdrawal in consumer contracts find their place. This meant that the contract’s performance did not exclude the right of withdrawal when consumers had not been properly informed. 2) Whether the information to be given under the Directive and concerning the right of withdrawal must be aimed at the “average consumer” as defined by CJEU case-law, or whether the directive allows for a different consumer image. As to the first question, the AG answers in the affirmative: the Directive must be understood as pursuing full harmonisation except when expressly providing otherwise. A clause allowing for additional protection at MS level had been included with regard to information provision, but not to withdrawal rights. The fact that in this case the two issues were to an extent interrelated – the right of withdrawal being extended as a result of (allegedly) insufficient information provision – did not lead to a different conclusion, because the Directive (we must understand: intentionally) did not attach any consequences to the provision of insufficient information on the right of withdrawal. It only said that the withdrawal period only started running once the consumers were informed of their right. As to the second question, the AG engages in a sort of systematic interpretation, explaining that since the definition of “consumer” in Directive 2002/65 was essentially the same as the ones found in Directive 93/13 and 2005/29, and the Court of Justice has already clarified that the average consumer standard applies to both of those directives, the same consumer notion – postulating a reasonable, informed and circumspect consumer – should apply here. It is such a consumer, thus, that should be kept in mind when ascertaining whether sufficient information has been provided in the context of the Directive. In this case, the AG does not engage in a discussion concerning minimum and maximum harmonisation – likely because providing “additional protection” under the Directive is an activity that would only be open to national legislatures and is precluded to civil courts adjudicating on specific cases. The AG also answers the third question – which would fall if the court followed him on the first two points: can a member state require providers of financial services to pay the withdrawing consumers compensation for the availability of the consumers’ money between the contract’s conclusion/performance and the time of withdrawal? According to the AG, member states cannot introduce such a requirement: the Directive’s article 7 regulates exhaustively the consequences of withdrawal, without providing for such additional compensation. In light of the system of the Directive, which gives consumers two weeks to exercise their right of withdrawal, such additional compensation would make little sense.